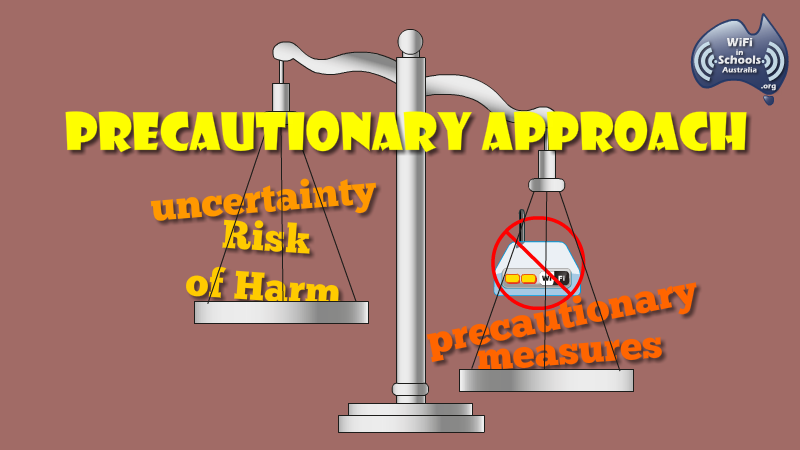 What is a precautionary approach? 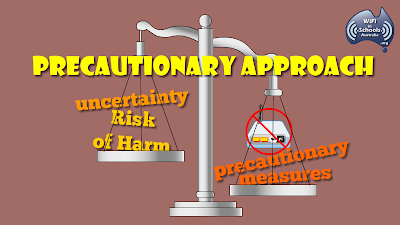 When an action or policy carries the risk of harm to human health, even if there is some scientific uncertainty about the cause and effect, precautionary measures should be taken. We need to take responsible measures to reduce exposure to EMR until research demonstrates conclusive results. Although there is a growing body of evidence that shows biological effects at levels well below the current limits, there has been an ongoing debate and disagreement among scientists about when the evidence is sufficient to take action. Experts all agree that there needs to be more research to establish conclusive proof. This could take decades by which time the damage may be extensive and irreversible to children. The World Health Organisation (WHO) publication, “The precautionary principle: protecting public health, the environment and the future of our children”cautions on the grave consequences of failing to act in a timely manner as was the case with asbestos and tobacco. In an effort to protect children and future generations this WHO document outlines a scientific, ethical and public health approach to applying the precautionary principle. Included in the report are scientific tools for identifying uncertain and complex risks, linking these with tools for cleaner production and innovation in safer technologies and activities. Based on studies on related wireless technologies, a precautionary approach has been advised by a number of governments, authorities and medical associations overseas. 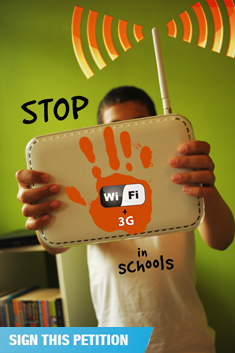 Some authorities have banned or restricted the use of WiFi in schools as a precautionary measure. In the absences of scientific studies on the long-term health impact of WiFi on children, this is a responsible approach. As parents concerned about our children’s health we want to see consistent evidence of no harm from the long-term use of WiFi and laptops enabled with 3G connectivity. However, at present there are no long-term studies related to WiFi and children. There is growing scientific evidence showing biological effects from related wireless technologies and short-term studies which warrants taking a precautionary approach to WiFi enabled devices.